Fear of Public Speaking: Fact or Fantasy? 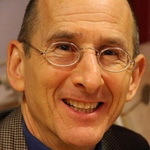 Kaiyum (David Bloch), international expert in presenting and communicating, looks more closely at the subject and provides some valuable insights. ‘Fear of public speaking’ is, according to a well-known survey – which may or may not be true – the number 1 fear, ranking higher than death. Let’s face it, unless you live alone on a desert island or are a totally withdrawn recluse, you’re always going to be speaking with others present. So what’s the deal here, this fear of talking to a group? You really should be afraid of standing up in front of a group. After all, there you are, one person up against many. No wonder that the reptile part of your brain signals danger and prepares your body for ‘fight or flight’. This reaction is common and normal! Both professional as well as less experienced speakers get ‘butterflies in the stomach’. The difference though is that professionals know how to make all the butterflies fly in the same direction! It’s more than just experience – it’s understanding the process. Fear – or just adrenalin? Imagine a triangle, with the words ‘mental’, ‘physical’ and ‘emotional’ at the three points. These three areas, inextricably linked to each other, are where you present yourself in this world. Imagine now a circle, with the label ‘comfort zone’ in the middle and, outside the circle, the label ‘emergency zone’. Deep in the comfort zone, you can easily avoid any adrenalin. Only when you indulge in some activity that moves you outwards and away from the centre – like ‘public speaking’ – will your adrenalin begin to pump. The increase in adrenalin is a sign that you may have to ‘fight or flee’, at least, according to the reptile brain. It’s also a ‘physical’ event, leading to various reactions such as sweating, need to urinate or defecate, raised pulse rate and shallower, faster breathing higher in the chest. These reactions are normal as you approach the boundary between the two zones. Think about the triangle again: if you are able to look at the ‘physical’ and simply be aware of the physical reaction – “Aha, I have lots of adrenalin!” – you’ll avoid getting locked into the agonising and debilitating downward spiral of emotionality which happens when you notice the adrenalin and say, “Oh, I’m so afraid!” This sentence opens the doorway to all the past, negative experiences hiding away in the corner of the triangle called ‘emotional’. There is something else you need to know, and that is: you need the adrenalin in order to be effective in your presentation. Like caffeine, it sharpens the senses, gives you an energy-boost and – if you keep out of the ‘emotional’ – will support an intense level of ‘in the moment’ experience. The phrase ‘in the moment’ is in itself a key. For now it’s enough to appreciate how, when you are in the moment, old emotional stuff has no claim on you. So, what can you do to improve your chances of being ‘in the moment’? If you’re a meditator, you’ll already know how important it is to watch the Mind and all its tricks. But now we’re going to use the Mind to help us. The first golden key is that of ‘connection’. When you get up in front of the group, the first thing you need is the feeling of being connected inside. The deep grounding that should be relatively easy for a meditator, right? In the next section you’ll learn the secret of accelerating this process, but for now it’s enough to know that the connection you have with yourself is the basis of your connection with your listeners. Note, ‘listeners’, not an impersonal ‘audience’ or ‘public’ but a reminder that there are live bodies out there who want something from you. Later you can read more about making this connection. For example: since the listeners are more important than you, the best personal pronoun you can use is ‘you’. All those speakers who begin by talking about themselves are missing out on a huge opportunity to make the vital connection, to build the bridge across which they can transfer their message. The same is abundantly true for the use of presentation software. “It’s not what you show, but what you know.” And if your listeners can follow your presentation from the screen, then you are superfluous. It’s up to you to ensure that whatever you show is precisely consistent with what you are saying at that moment. For example, if you present a slide with, say, five points on it, and start talking about the first point, the remaining four are irrelevant and ensure that most of the ‘listeners’ become ‘readers’ and miss your words of wisdom on the first point. It’s time to remind you of the power of breathing. Right breathing. And for presenting, selling, motivating and negotiating we need to be very specific about what ‘right’ breathing is. It’s different from what you’re probably used to. The emphasis here is on breathing out, on exhaling through parted lips and relaxed jaws. I guarantee that if you breathe out deeply and wait long enough, you will breathe in again! More than that, you will breathe more fully than otherwise. And more than just this, your diaphragm will be involved in the breathing; read on …. When you have excess adrenalin – are feeling afraid or nervous – your diaphragm locks up and the breathing becomes faster, shallower and in the top of the lungs. That’s where there’s the least space so a whole cycle kicks in of higher oxygenation and muscle readiness for … yes, ‘fight or flight’. You go onto automatic pilot. Great for when that bear jumps out at you in the mountains, but detrimental to your conscious efforts to give a presentation. Exhaling is a great way to get the diaphragm involved again and to bring you down to your lower chakra areas. You can shift a greater volume of air faster through your mouth than through your nostrils. Finally this note about the diaphragm and how it lowers your adrenalin levels. In simple terms, the up/down movement of this muscle (visible as the in/out of the abdomen) massages the internal organs, specifically the adrenals and, through the parasympathetic nervous system, gives the ‘all OK now’ signal. And yes, there is one more advantage to letting the diaphragm function ‘normally’: your voice will tend to drop and become deeper, more relaxed and certainly more convincing than when your breathing is high, fast and shallow. It is forbidden to give lectures as a means of transferring detailed knowledge. You only present when it is totally clear what the next step is that the listeners must take after the presentation. Action! Are you one of those with masses of notes and text-filled slides because “you’re afraid of forgetting something or missing something out”? Here’s a remarkable truism to help you: what you omit – for whatever reason – you are the only one who will know it! Put another way: the listeners only get what you (choose to) give them. What was it like (the presentation) / what was (s)he like? What did you get out of it / what was it about? So, where’s this mass of information? Nowhere except in your fearful Mind. These two questions are standard, whether it’s about the new restaurant in town, the film you saw last night or … the presentation. The key is that the relationship comes in the first place, the bridge that you build with your listeners, helping them to like you sufficiently (the power of the first impression!) to stay open to what you have to say. But now you must understand that this middle section needs to be neatly packaged between a beginning (when the listeners meet you for the first time) and the ending, which is the last they’re going to hear from you. This morning we’ve spent a short time together looking at new and different ways of presenting. You’ve now got a better understanding of how important it is to avoid clichés, so as to support your originality and authenticity. You’ve heard much more about the importance of the relationship with your listeners, and how just information is truly less significant. You’ve gained some useful insights into the hows and whys of effective presenting and the value of relaxing and deep, correct breathing. With all this input … and all the new ideas … the quality and success of your next presentation … is now … up … to … you! The keys: the first ‘we’ involves everyone; the ‘you’-sentences remind the listeners of the advantages they can take away; the absence of ’I’ emphasises that it’s all been to their advantage; and the last words are a reminder of their responsibility to do something with what they’ve heard. With all these tips, you can now go out and give better presentations – right? … then get yourself off to a regression therapist. If you were burnt at the stake, stoned to death or otherwise met a nasty end because you dared to stand up and tell your truth, releasing the tension in the cellular memories is going to be your solution….